Anyone who is looking to throw an epic party should know that the music you play can pretty much decide whether or not the event will be a success or a failure. For that reason, choosing the best songs for parties and the correct playlists is extremely important. One of the biggest mistakes most people who are throwing a party make is choosing the wrong music. Too many folks end up choosing songs from artists and groups they love, but ignore what the audience might really want to hear. This is a major mistake. The first thing you need to do when deciding to throw an awesome party is to make sure you know your crowd and what kind of music they like. For example, if most of the people you are inviting to your party like country music, it will be a mistake and unwise to play Hip Hop or even rock for them. The same rules applies if you have a younger crowd of invitees which love dance or techno or even Rap and you decide to play country music or classical. Always cater to your audience. 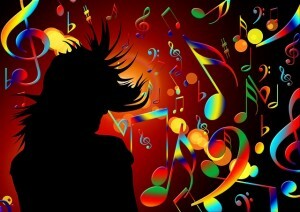 Know in advance what kind of music most of those people you are inviting like as well as their friends. While you don’t necessarily have to have a Disco-tech type of sound system, it is imperative that you have one that can at least make some good noise. Imagine going to a party and all they have is an iPod with speakers playing the music. Surely you and the others will leave. If you do not have a good sound system then borrow one from a friend. For those that really want to throw the party of the year, we suggest hiring a DJ as well. You may be surprised to know that one of your friends will likely know someone who does DJ on the side. These are the perfect people to get to do your party. Most of the time since they are doing it as a side job, they may just be starting out. This means that they won’t be that expensive as well. Shop around and see who offers you the best bargain. Remember though, while having an adequate sound system to liven up your party, you don’t want to send your guest home deaf from it being too loud. As with everything else, use common sense and balance. So now that you know most of the basics on making sure your next party is a big hit, your next step is finding the right songs to play. Here are some really great playlist you should consider using for your next party. Of course, these are just 2 of the many available playlists to choose from. However, these two contain some of the most popular ones most people usually end up using. If these are not the type of songs you or your guests might enjoy then simply follow the steps in the next paragraph. Once you know exactly what kind of music or genre you are going to play, then you can simply use search engines to find the best songs for parties. Searching for “Fun dance songs for parties” or even “Group dance songs for parties” are just two of the many search terms people use to find their playlist. Google offers tons of websites which will give you the top 100 dance & party songs and other playlist as well. Best of all, you can simply check the comments from other users to see if they actually worked. The great thing about using something that someone already tried is that you can find out whether or not it was good or worth using before you try it yourself. Of course once you have the right playlist for your party, make sure you have some food and liquor for your guests. No matter how great the music is, if your guests have nothing to drink or eat, they may end up leaving before time. Choosing the best songs and the right music for your next party is sure to make your next jam the party people will talk about for a while.